In this compelling account of the decisive World War II battle of El Alamein, Jon Latimer brings to life the harsh desert conflict in North Africa. In October 1942, after a two-year seesaw campaign across the wasteland of western Egypt and eastern Libya, the British Eighth Army not only achieved a significant military victory over the combined German-Italian Panzer Army but also provided an enormous psychological boost for the Allies. This is the story of two of the most intriguing commanders of the war. Latimer offers remarkably balanced portraits of Bernard Law Montgomery, whose real achievement was overshadowed by his prickly ego, and Erwin Rommel, whose tactical brilliance could not overcome his disdain for the administrative side of war. Alamein, Latimer notes, was a victory for modern armaments, with concentrated artillery used on a scale not seen since 1918. Equally important were the critical contributions of naval and air forces in cutting off the German supply lines and supporting the ground troops, roles largely overlooked in standard accounts. 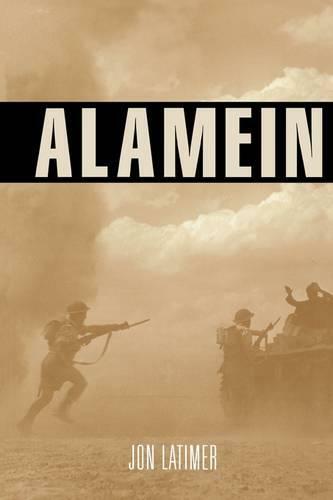 But Alamein is at heart the story of the infantry soldiers who fought in a scorched wilderness. Often using their own words, Latimer vividly describes the experiences of the gunners, sappers, cavalrymen, and airmen--Britons, Canadians, Australians, Indians, Germans, Italians, and others--who struggled in the heat, sand, and dust of this brutal environment. With their success at El Alamein, the British forces would drive Rommel's army into Tunisia--and ultimate destruction in the North African Campaign of 1943.